We are pleased to announce the 17th A-IMBN annual conference will be held December 1-2, 2014 at St. Luke’s Medical Center, Manila, Philippines. 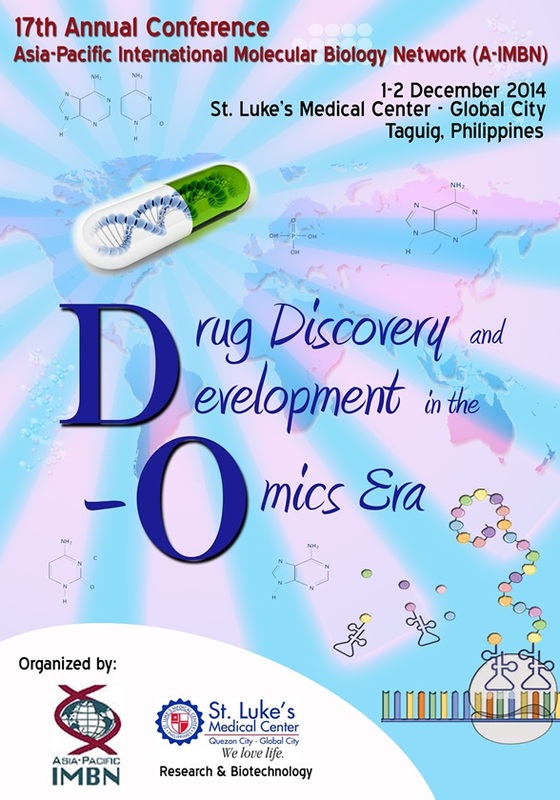 With its theme “Drug Discovery and Development in the -Omics Era,” the details of the program is being firmed up. As this year’s conference will address the following 5 major topics, we would appreicate your interest and participation in this significant event. Your recommendation of the speakers would be welcomed as well. We look forward to seeing you all at the 17th A-IMBN conference in Manila.